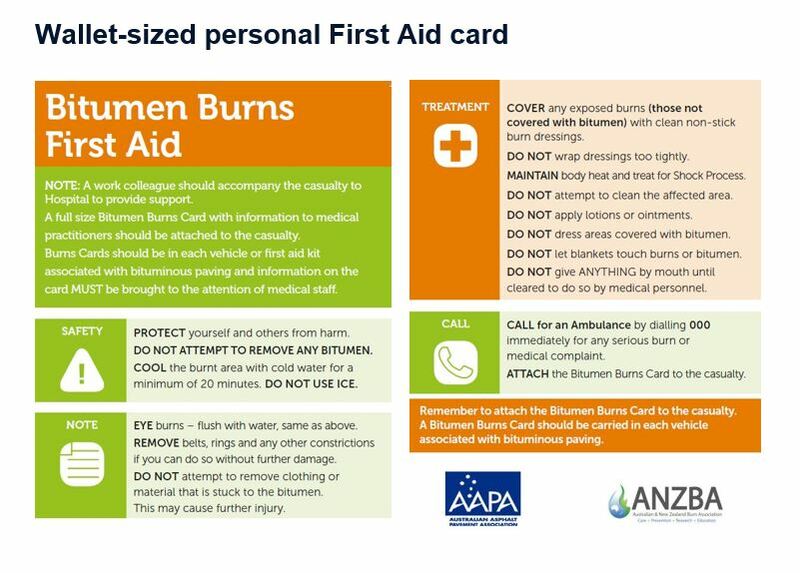 Order Bitumen Burns Cards for your team by completing the below form. Bitumen Burns Cards are an essential safety tool for anyone operating close to road surfacing. 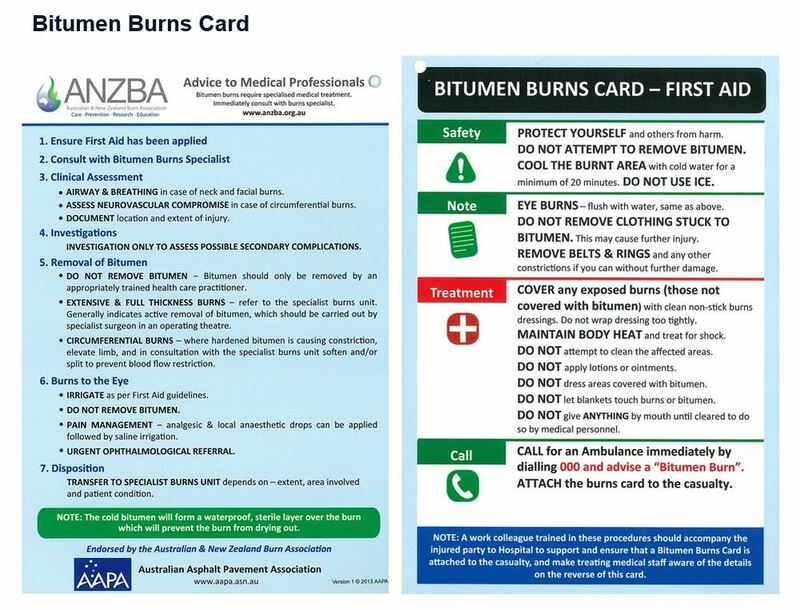 The Bitumen Burns Card is endorsed by the Australian & New Zealand Burn Association and provides advice to Medical Professionals regarding treatment. Working with hot bituminous products is potentially dangerous, particularly when storing, heating, handling and spraying these materials. We will issue you with an invoice and dispatch upon payment. We will process your order within 5 working days. Additional Wallet-sized personal First Aid cards can be purchased at $0.60 each. If you have any questions feel free to contact us on (03) 8416 4500.